A movie poster that’s a fitting tribute to the acclaimed fashion designer Lee Alexander McQueen that has been produced in collaboration between the creative arts agency The Posterhouse & Alexander McQueen’s own nephew Gary James McQueen. 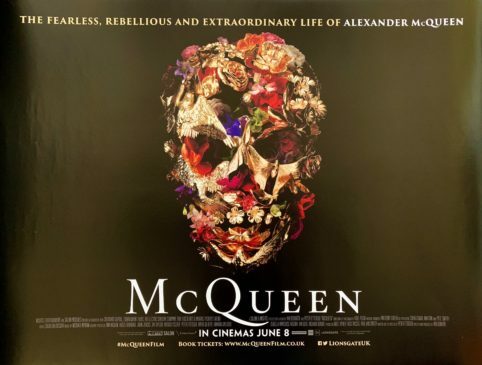 There were two designs produced for the 2018 British release of “McQueen”. A ‘reviews’ style UK quad and this version with a gilded, multi-coloured flowered skull offset against a plain black background. 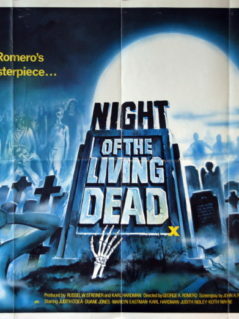 The photograph unfortunately doesn’t do this design justice, it is a truly stunning piece of film poster artwork that presents near perfectly being originally rolled (as issued). 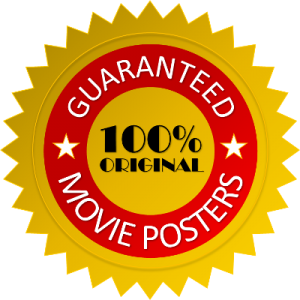 Genuinely scarce with very limited showings, primarily in a small number of ‘art-house’ & ‘specialist’ cinemas combined with a low key advertising campaign. A beautiful piece of impressive ‘modern’ film memorabilia that is hugely collectible encompassing not just movie fans but also fashion, design and pop culture. Alexander McQueen was a provocative British fashion designer whose fame rose in the 1990s. This documentary charts the highs and lows of his life. The series of interviewees covers a wide area of McQueen’s life. He had hurdles to pass (he was gay and from a working-class London background) to achieve a success he hadn’t foreseen. For much of his successful career, he maintained a modest, average-guy appearance and outlook. His rise, downfall, and early ending are similar to that of another Brit of working-class background: Amy Winehouse whose story was covered in the superb doc “Amy“ (2015). 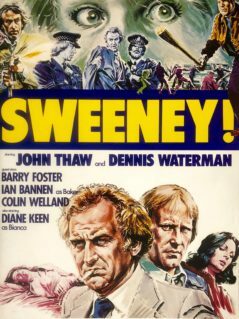 “McQueen“ is a rather good film that might have been better. It seems distant at times and goes just barely above the surface when it might have probed more about the man in particular and mental illness in general. Then, there are the fashion shows. To those of us who are non-fashion aficionados, the level of interest may be limited. The shows and the clothes are deliberately unconventional and shocking – the main claim to fame for McQueen. They were like alternative theatre. The footage exposed in the film certainly is fascinating to a point. The trouble is that they are repetitive. Directors Ian Bonhôte and Peter Ettedgui might have found more creative ways to expose the fashion show footage to keep the content interesting. While the film veers toward a less-than-stellar direction, it is thankfully revived in the last segment around the sad end of McQueen’s life. Here, Bonhôte and Ettedgui do a fine job in expressing the grief, loss, reflections, and insights of those left behind. This section makes “McQueen“ worthwhile.